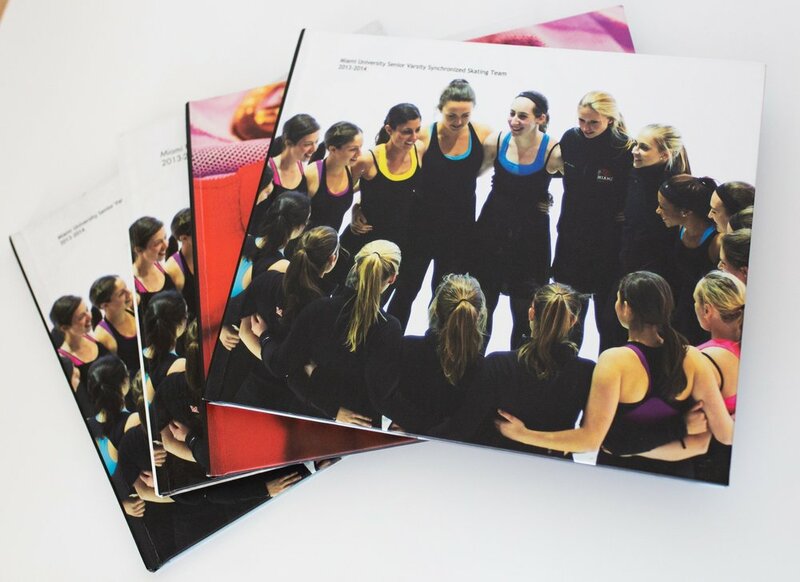 SArnold Photo specializes in customizing photo books specifically for your synchronized skater with an artistic layout and design. These books are perfect gifts for end-of-the-year banquets and graduating seniors. Synchronized skating seasons come and go, but the memories are what last a lifetime. Order a photo book this holiday season so that you have something to look back on years from now. "From the time my daughter began to skate, I never missed a competition (with the exception of the one when her brother was sick.) I recall the card she gave me before she went to college where she wrote that during every competition she looked up into the stands and I was there with my camera around my neck. I was. That was true. We had a little neighborhood photo developer and I would run over the morning after the competition and drop off my film asking to have 3 copies made. One was for me, one was for my mother and one was for my mother-in-law to put in our albums and on our refrigerators. How grateful I am today to be able to put my fingers on these photos. How happy I am that I know where I put them and how I filed them because digital access isn't always available. In later years, and still today, I scan paper photos but am so very thrilled I have them to do so. As a parent of a skater, I can't express enough how I love the ease of digital but most highly recommend printing your favorites or better yet, having them bound into a customized photo book!" Once photos are approved, SArnold Photo will compile pictures into a book just for the skater, with an artistic layout and design. If 5 copies from your team are ordered, each person will receive 20% off your book. If 10 copies from your team are ordered each person will receive 30% off your book. If 15 or more copies from your team are ordered, each person will receive 40% off your book. To place an order for a customized book, click here.